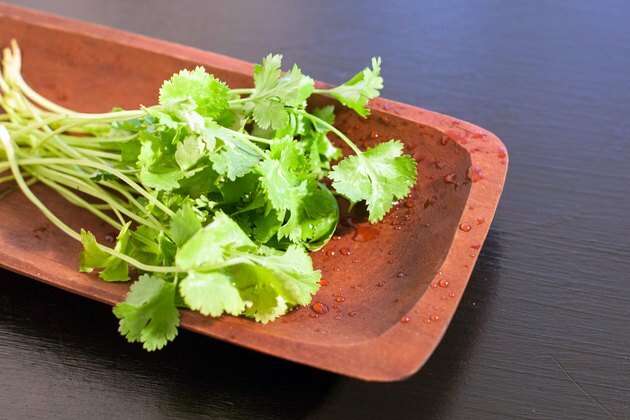 Cilantro is an herb that is used in many Mexican salsas, spicy dishes and as a garnish. Humans have used it for centuries and written documents of its use date back to 1500 B.C., according to the Washington State University Clark Extension website. 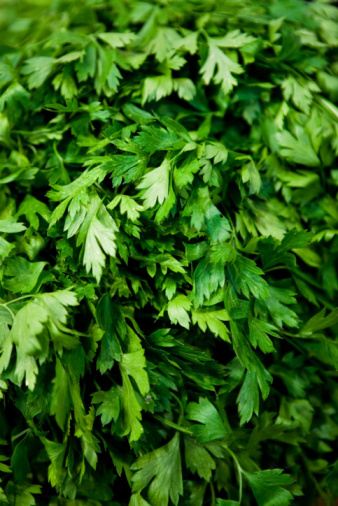 The taste of cilantro resembles the taste of parsley but it has a more pronounced and bitter taste. 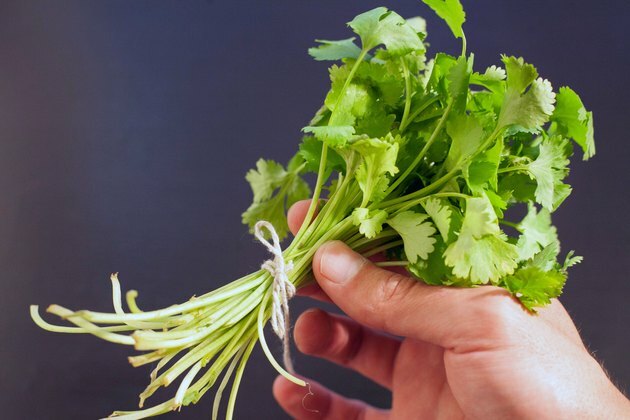 You can both dry and freeze cilantro so that you can use the herb throughout the year. Choose the pieces of cilantro that you want to freeze. Fresh cilantro will have a green leafy appearance and you will want to trim off any leaves that appear brown or yellowed. 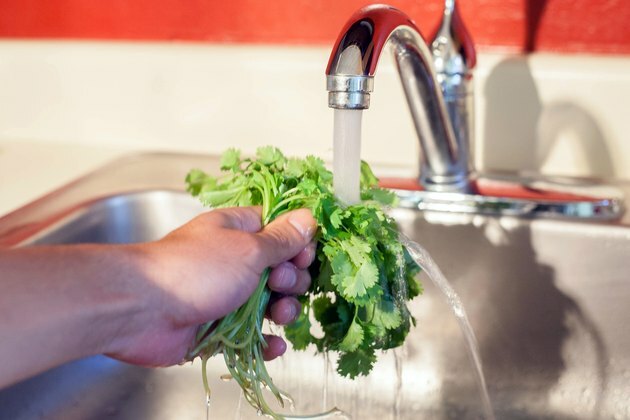 Wash the cilantro in running water and rinse off any dirt or impurities that the plants might have. 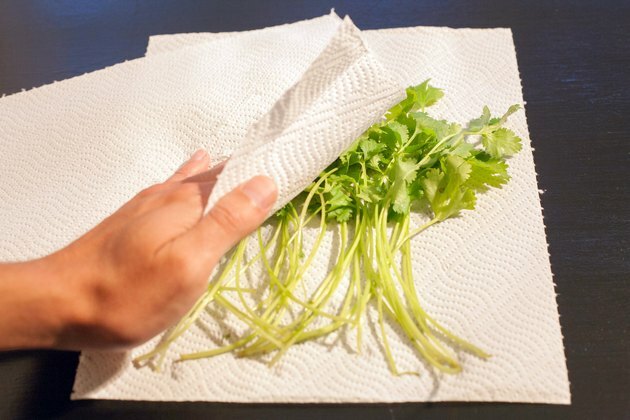 Place the cilantro on a paper towel and pat it dry with another paper towel. 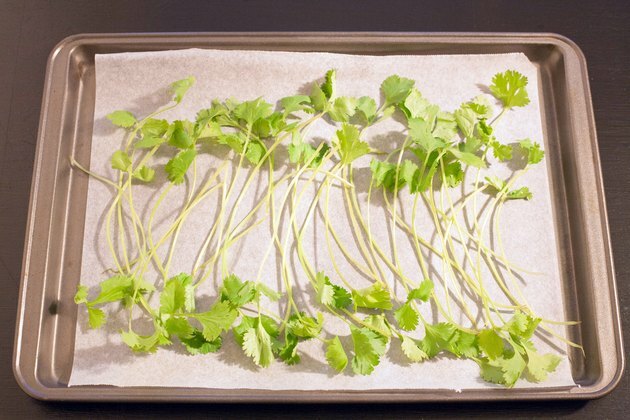 Put a piece of wax paper on a cookie sheet and cover with several pieces of cilantro. Place the cookie sheet in the freezer and allow the cilantro to freeze. Remove the cookie tray from the freezer once the cilantro is frozen. Put several pieces of the cilantro into a small plastic bag. 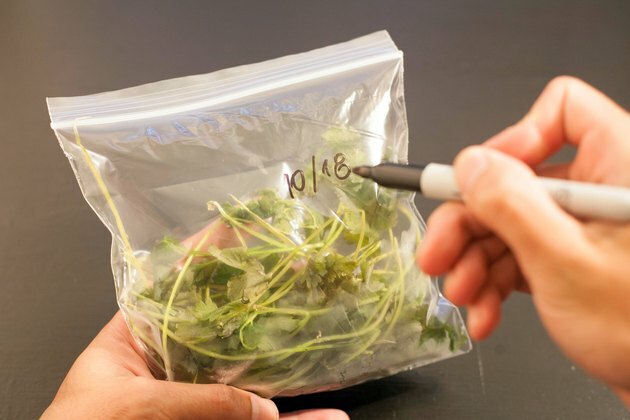 Write the date and the word "cilantro" on the bag so that you know when you placed it in the freezer. Place the bag in a section of the freezer where it will not get crushed or broken. 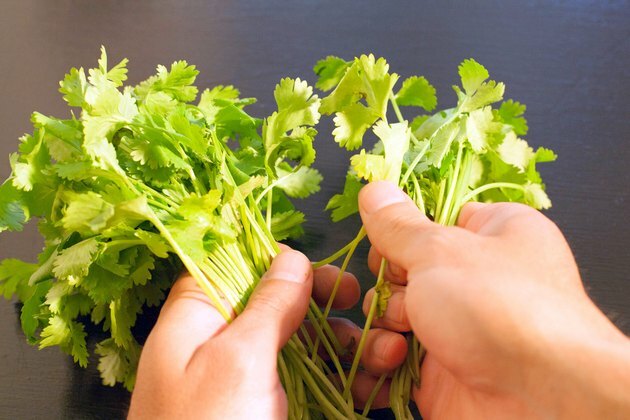 Gather up the cilantro that you want to dry and check the leaves for dirt and other debris. If the leaves are clean, you do not have to wash them, but if the leaves are dirty you can wash them and then pat them dry with a paper towel. 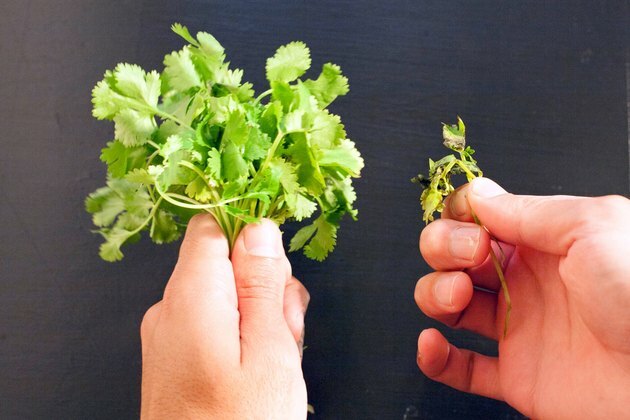 Group several stems of cilantro together and bind them together by tying a string around the bottom of the stems. This will create a bunch for you to dry. Place the bunch of cilantro upside down in a paper bag and hang it to dry. 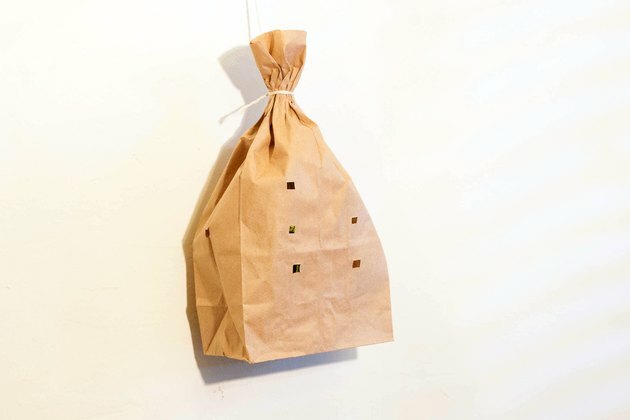 The paper bag will protect the leaves from getting dirt, dust and particulates on it. Tie a string around the paper bag to hold it in place. Cut four to six small holes in the bag for ventilation. Let the herbs dry out for anywhere between two and four weeks.